Short trenchcoat jacket with cool details. 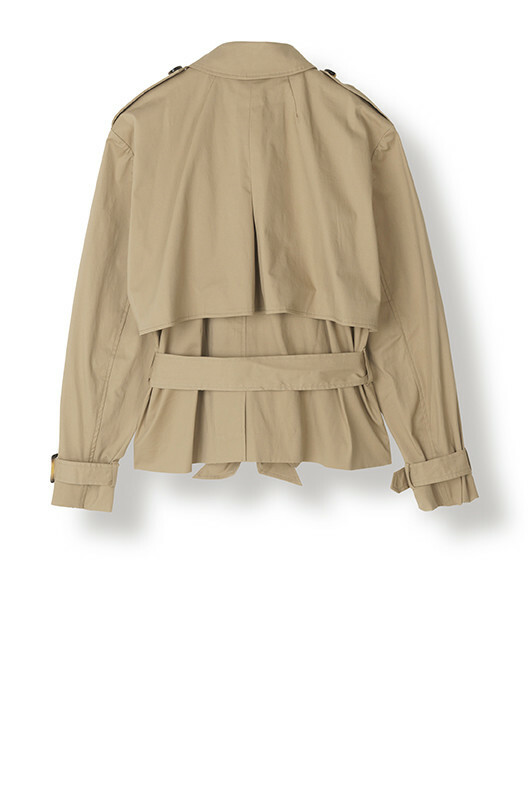 The jacket has side pockets, double-breasted buttonhole closure and a waist belt. 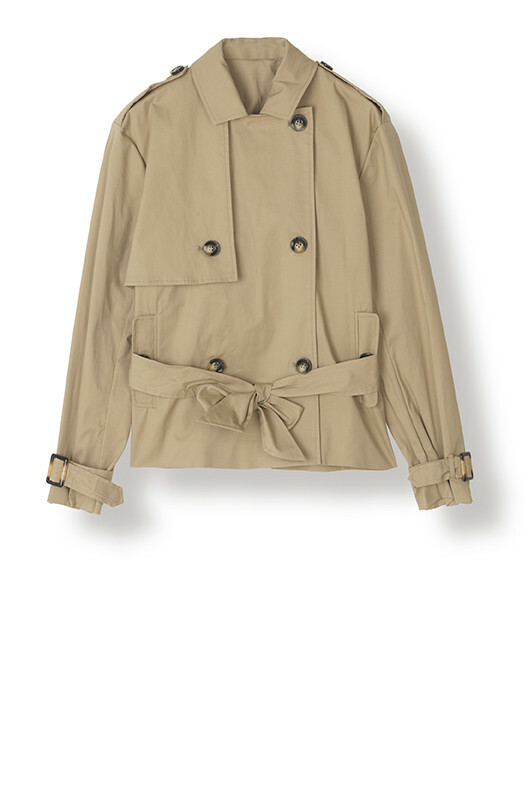 A cool and modern alternative to the classic trenchcoat.